Opponents of Republican Greg Gianforte lost no time in using his own words against him in an eleventh hour spot. Voting ends today in the special election for Montana’s lone seat in the House of Representatives, and opponents of Republican candidate Greg Gianforte are making the most of his last-minute confrontation with a reporter on Wednesday. Gianforte has been charged with misdemeanor assault after allegedly "body-slamming" Guardian reporter Ben Jacobs during an interview. A Fox news crew that witnessed the incident said they then "watched in disbelief as Gianforte then began punching the reporter." The Democratic Congressional Campaign Committee lost no time in releasing a new attack ad comprised almost entirely of the audio of the altercation. 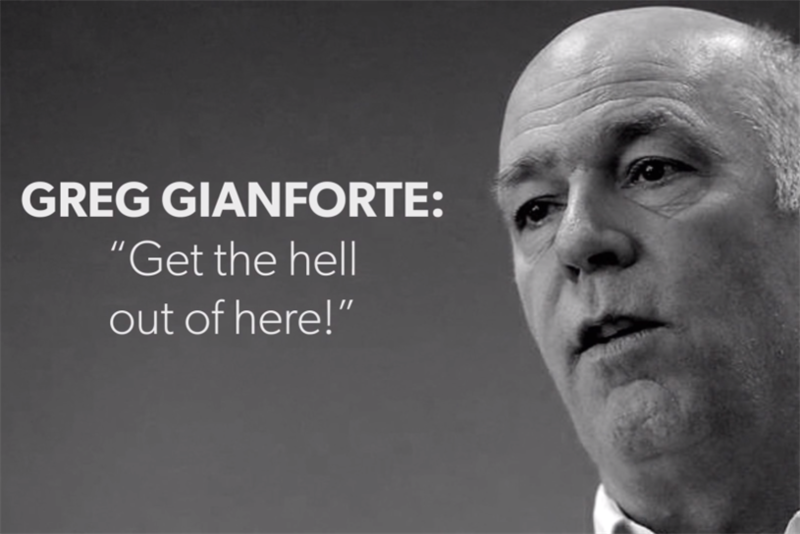 The sounds of a scuffle can be heard while Gianforte yells, "I’m sick and tired of you guys. The last time you came here, you did the same thing! Get the hell out of here." As the audio continues, quotes from news reports about the incident play across screen. The spot ends with a reminder that polls close today at 8:00 p.m. Previously, Jacobs had written about Gianforte’s financial ties to Russian companies. After news of the incident spread, three Montana newspapers pulled their endorsements of Gianforte. "There is no doubt that Gianforte committed an act of terrible judgment that, if it doesn’t land him in jail, also shouldn’t land him in the U.S. House of Representatives," wrote the Missoulian newspaper, which had endorsed the Republican three weeks ago. "He showed Wednesday night that he lacks the experience, brains and abilities to effectively represent Montana in any elected office." Yet the episode and its fallout may not affect the outcome of today’s election. More than a third of Montana’s voters have already cast ballots. But the state also has same-day voter registration, so previously uninterested voters could decide to turn out at the polls today. Prior to yesterday’s incident, ads in the race had been typical, especially for a Western state with a large, Republican-leaning, rural population. A spot last month for Democratic candidate Rob Quist had him shooting a television set with a rifle. In response, Gianforte aired an ad in which he shot a computer. More than $10 million has been spent on ads by both sides in the contentious election, the first chance for Democrats to gain a seat in the House since the election of President Donald Trump in November. Montana’s previous representative, Ryan Zinke, joined the Trump administration in March as secretary of the interior.